The best of the season. See you next year. As is the custom at this time of year, Canadian Magazines is taking a bit of time off, returning to usual programming on January 4. We hope you have a good holiday and that we have a lot of good things to report about the magazine business in 2017. This has been the year of major upheavals, not least of which is the move to digital by several of Rogers Media's better known titles and the decision by a group of publishers to start their in own magazine awards in competition with the 40-year-old National Magazine Awards. Here is a somewhat arbitrary selection of those and other stories we've carried in the past 12 months. Can the Canadian magazine industry resolve the developing struggle over awards? Mastheadonline to become "volunteer-based community website"
There's still time to sign up for one of the courses in the Chang School Magazine and Web Publishing program at Ryerson University. Courses are generally taught in the evenings* or online. The school is on the holiday break from today (Dec 22) until Jan 9, but registration is still available online. Don't be disappointed. Sign up now. Taught by Sydney Loney, this is one of the core courses for the M&WP certificate and an involving look at the process of creating a digital or print publication. Designer Dave Donald shows and tells how great-looking digital or print magazines get that way. Diane Peters pilots participants through conceiving, focusing, pitching, researching, structuring, writing and revising both short and longer feature articles. David Hayes leads a project-intensive course aimed at designed for serious students of magazine feature writing to further develop reporting and narrative skills. Fact-checking is a key entry-level job in magazines and provides skills that work in any medium. Taught by Bernadette Kuncevicius. This course, taught by Jess Ross, focuses on packaging print and digital service journalism to delight readers and help them easily access what they need. Covers all systems and methods used to seek out and acquire readers in this vital contributor to a magazine's success. Taught by Darlene Storey. Editors are expected to understand and use various aspects of the InDesign page layout program. Fast-paced, hands-on lab course on 7 Saturday mornings. This course helps today's magazine production professional, including the skills to publish on multiple platforms. Taught by Kim Latreille. Chris Frey provides students with a valuable understanding of the most common strategic, logistical, and business-related challenges that come with producing great magazine websites. Graham F. Scott shows how to deliver content to readers whenever, wherever, and however they wish including such vital tools as content management systems, mobile apps, ad portals, and more. The newsstand decline of sales of audited titles is being masqued by the inclusion of special interest publications or "bookazines, he says. A close analysis of MagNet data showed that, net of those products, the sales of audited publications in the first half declined 14.9 percent, with revenue off 15.4 percent, indicating that the rate of decline for audited titles, rather than slowing as is often said, is actually accelerating. and net revenue for non-audited titles actually rose 5.8 percent, compared to the steep 15.4 percent decline for audited titles. He says that major publishers are the biggest users of non-revenue circulation. "The really heavy use of non-rev circ is largely confined to the publishers with high circ level titles that are chasing national advertising. These include, shown with their percentage of non-rev circ use: Time Inc. (30.7 percent), Meredith (29.5 percent), Condé Nast (32.5 percent), Wenner (30.6 percent) and Rodale (23.3 percent). These publishers, particularly Time Inc., Meredith, and Condé Nast, have easier and more economical access to non-rev circ sources. They also appear to be using these sources, not only to support high circ levels, but also to sustain a competitive advantage over publishers who don’t have the resources to keep pace in what amounts to a high-level circulation battle of chicken"
Advertisers are not being fooled, says Davis, and are therefore negotiating discounts for these line extensions, particularly as their ballooning usage has now exceeded single copy sales for the first time. As for digital circulation, he says that digital may have peaked in 2015 at 4.4% of paid circulation; "a far cry from the 10 percent figure that many publishers were forecasting just a few years ago." "The age of unfettered circulation levels for audited consumer magazines is fast coming to a close. The dramatic decline in newsstand circ, the proliferation of non–rev circ, the prospect of less than expected digital circ, along with reduced reader demand for print products have all conspired to place stringent new circulation level restraints on publishers. "Some publications, like Reader’s Digest and TV Guide, have responded to the market changes and reduced their circ levels. But even a casual review of single copy, digital, and non-rev circ use reveals that many publishers are still stubbornly clinging to circ levels that are no longer appropriate in today’s market." Starting with its January issue, Reader's Digest Canada will be spending a year marking its 70th anniversary. There will be a monthly online feature called "70 Things..." that looks back at stories and interesting facts that Reader's Digest has brought to readers over the decades. According to the most recent readership data (Vividata 2016 Q2), Reader's Digest ranked #1 for total print and digital audience, with over 4.6 million Canadians. 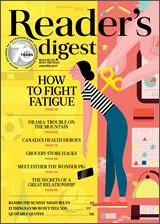 Reader’s Digest Magazines Ltd. publishes Canada’s most-read magazine and Sélection, its French language counterpart. They have a total print and digital average issue readership of over 5.9 million. Other magazine brands include Best Health and More of Our Canada, a companion magazine Our Canada magazine. Reader’s Digest operates a network of branded websites in Canada, including Rd.ca, besthealthmag.ca and selection.ca. There's a lot of opportunities to build skills in Magazine and Website Publishing at Ryerson's Chang School in the winter term, starting January 13. See the range of courses available one at a time or as part of the 7-credit certificate program. Rogers Magazine Service, the largest continuous magazine subscription service in Canada, is shutting down today. It is not a surprise; it is an already announced outcome of the decision by Rogers Communications to move many of its consumer magazines away from print to digital, in whole or in part. Its shutdown will hurt the circulation efforts of many magazines, of course. But it helped introduce many Canadians to magazines, often with an incentive of Air Miles or Aeroplan points and, once signed up, they could easily keep paying every month or 3 months on their credit card. It was the continuous renewal dream of circulators everywhere. It began in 1999 when Rogers (Michael Fox played a big role) thought that they could sell both Canadian and American magazines just as well as Time Inc. was starting to do. Many non-Rogers titles took advantage of the cost-effective channel. Customers have been able to access titles online and through bill inserts, among other means. It grew from an offering of 8 Rogers magazines to a $6.5 million revenue business with over 175 magazines and 220,000 active continuous service subscriptions. Publisher authorizations were obtained from over 50 top publishers in Canada and the U.S. - both English and French. In the past 4 years over 90% of RMS subscriptions were sold online. The RMS website had over 14,000 customer ratings and reviews. Over the years, affiliate marketing programs were built with virtually every financial institution in Canada – CIBC, TD, RBC, BMO, Amex, Scotiabank, Citi - and partnered with many retailers and loyalty programs. 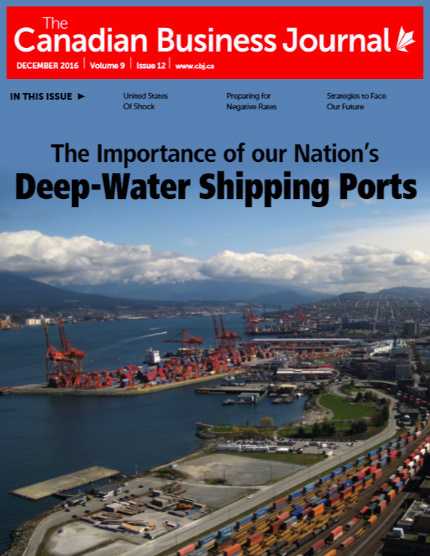 RMS also provided valuable history and numbers that helped in the launch of the Next Issue Canada (later, and now, Texture) in 2013. More RMS subscribers migrated to Texture than from any other internal source. The closed RMS website will now link to a Texture offer. 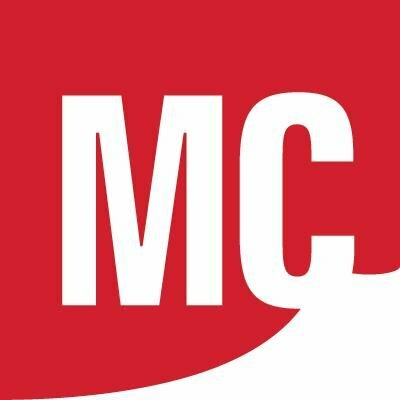 Magazines Canada has allied itself with the advertising intelligence platform MediaRadar to provide the trade association with in-depth digital and print advertising sales information to its members and to use in its projects, from content to events. MediaRadar serves a growing number of top publishers, including Star Media Group, La Presse, Reader's Digest Magazine Canada, TVA Publications, and St. Joseph Communications. It's a cloud-based platform using data science to provide advertising sales intelligence on more than 2.3 million brands across multiple media platforms, including: online, print, linear TV, social media, and newsletters. Ad sales professionals, management and research teams may use these insights to more effectively and efficiently get more qualified leads, create high-performance sales pitches, and close more deals. He considers himself to be a "publishing industry advocate". He's working purely as an unpaid volunteer. "I stepped forward. I think it's my duty. I'm doing what's needed for the magazine to go forward, to survive." (He declined to discuss the circumstances leading up to him "volunteering", but said the magazine almost closed before because of lack of revenue.) "If I didn't do this, Masthead could be gone." His call for volunteer bloggers has resulted in more than 25 responses. "We need to bring the industry together. We have to try and create positive messages about this industry. We have to bring all stakeholders together." There's lots that's right in the industry, but there is lot about it that is inefficient and overbuilt. "Talking with the agency folks at the event (Magazine Day] the reason for this is not the agencies, who are big supporters of magazines, but advertiser attitudes towards magazine. The Ad tech community is going client direct and telling them that print is dead and they believe it, plus the cost of digital ads on some ad networks are as low as $2 CPM as they are dumping ad inventory on the market due to oversupply. These two issues need to be addressed by the industry." Magazines and magazine organizations have not done a good job of marketing. "Traditional media have got put in the shadows because of digital hype." "For Masthead to survive, we have to take a national perspective, and not just magazines." "The industry is stuck in a corporate welfare syndrome. We don't know how to compete because we've relied on government funding for so long. It is propping up inefficient companies and that's not a good long-term strategy because you lose your competitive edge." Masthead under his watch will continue to provide the same services and events, such as its job board and the Canadian Online Publishing Awards (COPAs), which he produces. It looks like The Deep has been successful in its crowdfunding. The campaign aimed to reach $18,500 after shooting past its $15,000 target and has now raised $19,038 from 321 backers in order to launch the online, long-form journalism site for Atlantic Canada. The venture will start by publishing one big story a month in 2017: "sweeping, ambitious, can't-put-them-down Atlantic stories that will stand toe-to-toe with the best magazine writing and reporting found anywhere." "The episode also appears to mark a tipping point in Justin Trudeau’s avatar as the nation’s progressive, swoon-worthy boyfriend. Suddenly, he’s the guy who orders for his date without asking what she wants then ignores her ensuing protest." -- Anne Kingston in Maclean's magazine uses an hilarious analogy to take Prime Minister Trudeau to task over the "Cosmo-style" questionnaire that purports to be about electoral reform. TIME magazine names Donald Trump as its "Person of the Year"
It's proof, we suppose, that Time's "Person of the Year" is not necessarily someone to admire: the December 19 issue of the magazine features Donald Trump. “This is the 90th time we have named the person who had the greatest influence, for better or worse, on the events of the year. So which is it this year: better or worse?,” wrote Time Editor-in-Chief Nancy Gibbs, explaining: “The challenge for Donald Trump is how profoundly the country disagrees about the answer.... 2016 was the year of his rise; 2017 will be the year of his rule, and like all newly elected leaders, he has a chance to fulfill promises and defy expectations.... For reminding America that demagoguery feeds on despair and that truth is only as powerful as the trust in those who speak it, for empowering a hidden electorate by mainstreaming its furies and live-streaming its fears, and for framing tomorrow’s political culture by demolishing yesterday’s, Donald Trump is Time’s 2016 Person of the Year."" In what is something of a departure (in length, rather than its serious intent) the current (Winter) issue of Precedent magazine carries an excellent cover story by senior editor Daniel Fish about Michael Bryant. The coverline asks the apt question: Whatever happened to Michael Bryant? The former attorney general of Ontario who was caught up in a controversial prosecution after a confrontation with a cyclist on Bloor Street in Toronto, a confrontation that turned into a tragedy. And after a considerable and complicated aftermath how he is in the process of rebuilding his life built on empathy for the less fortunate, spending long hours as duty counsel in bail court in Brampton. The personal transformation of Bryant into a criminal lawyer for an underclass who badly need one, ..well, you can read about it yourself online. And you'll know, at least in part, the answer to the cover question. Mastheadonline to become "volunteer based community website"
Martin Seto, a tech blogger with Masthead has now been appointed editor of the online magazine. He succeeds Leslie Emmons in piloting the publication, which has been in print and online for more than 20 years. "will evolve into a volunteer based community based website and one of the initiatives planned is to create an open blog opportunity for anybody that wants to write about how Magazine/Newspaper/Publishing can be relevant again in the digital world." The magazine, which has been published by North Island Publishing of Mississauga publishers of Graphic Monthly Canada for the commercial printing industry and Design Edge Canada for the graphic design industry (sold to the CJ Group in 2013), began as a print publication for the magazine industry, both subscription and permission-based. In 1994 Masthead was an early entrant in online, at first as a dial-up bulletin board (some of you kids won't remember these). Later, it discontinued print publication and carried on as an online magazine. The Canadian Business Journal was singled out for praise by CCAB/BPA Worldwide for submitting to an audit of its website to prove independent verification of its data. "A BPA website audit provides advertisers assurance that the sites they choose to invest in deliver the traffic they claim," said Tim Peel, vice-president of BPA in a release. Such an audit (and the CBJ is the only business publication in Canada for which census traffic is measured), said Peel. The data, which measures unique browsers, page impressions, user sessions, unique browser frequency, page duration and user session duration, can be read in the BPA Reports Library. Creators within the magazine industry (writers, freelance writers, photographers and illustrators) will want to add their names to the joint letter addressed to Honourable Mélanie Joly, Minister of Canadian Heritage, urging the government to put Canada’s creators at the heart of our cultural policy. People who consider themselves members of the "creative class" may wish to add their name to the letter here. The text is below. Most of the remainder of the Rogers Media business-to-business titles have now been sold to Transcontinental Media GP. The transaction encompasses seven brands and associated events, custom publishing and market research -- largely in the finance area. Properties covered in the deal (including all trademarks) are: Advisor's Edge and Advisor's Edge Report (advisor.ca ) Adviser and Adviser to the newspaper ( conseiller.ca and conseiller.ca/pme), Benefits Canada (benefitscanada.com and smallbizadvisor.ca) advantages ( conseiller.ca/avantages), Canadian Insurance Top Broker (CITopBroker.com), Canadian Investment Review (InvestmentReview.com ) and Canadian Institutional Investment Network (institutionalinvestmentnetwork.ca). The magazines and other properties will now be part of a division including TC Media's other finance-related titles such as Investment Executive (investmentexecutive.com ) and Finance and Investment ( finance-investissement.com ) , The Business and The Business Plus - including Events Les Affaires - ( lesaffaires.com ) Acquizition .biz, Constructo Journal, (groupeconstructo.com ) and a management System for electronic bidding of the Government of Quebec (seao.ca). One of the casualties of the awards season in 2017 is that there will no longer be Kenneth R. Wilson Awards for trade and business-to-business publishing, which have been run in recent years by the Canadian Business Media (CBM). With the closure and sale of a swath of b2b properties (e.g. Rogers Media) and a defection from the National Magazine Awards of publishers from the organizing companies of the new Magazine Grands Prix under the auspices of Magazines Canada (St. Joseph Media, The Walrus Foundation, TVA Publications Inc., Reader's Digest and Rogers Publishing) the KRWs have been squeezed out. The National Magazine Awards Foundation has added a new award for "Best Professional Article", which will recognize excellence in business-to-business journalism meant to honour outstanding magazine writing dealing with subjects, practices, events or developments of importance to a professional industry. And b2b magazines may enter any of the written, visual and integrated categories of the 2017 lineup. The Magazine Grands Prix accepts entries in all its 26 award categories from eligible magazines, which include b2b. However there are no categories that are exclusively for trade pubs. The KRWs have been presented for 62 years and were named in honour of Kenneth R. Wilson an editor and writer who was active in a number of editor and journalist associations. A tragic airplane crash ended his distinguished career in January,1952 at the age of 47. The awards will feature 25 categories, including 14 writing awards, 7 visual awards and 4 integrated awards. In most categories, there will be a maximum of 10 finalists determined by the jury. The top two will win the Gold and Silver medals. All other finalists will receive Honourable Mention.